The aptly dressed pup was having fun playing in the lounge, though he seemingly took issue with a toy lizard on the floor. 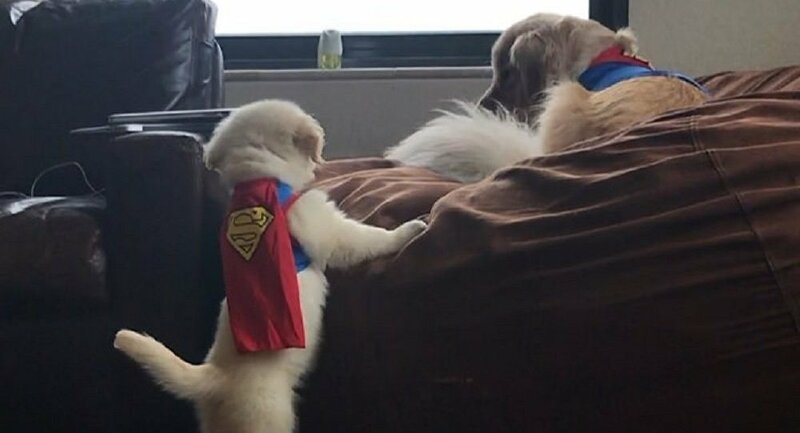 In this video, a puppy wearing a "Superman" costume can be seen wandering around a room when he spots a toy lizard and attacks it. An older dog, also wearing a similar garment, stays seated on a sofa while the action unfolds.